Founded twenty years ago by MIT graduate student Daniel Lewin, and Dr. Tom Leighton, his applied mathematics professor, Akamai Technologies, based in Cambridge, MA specializes in internet content delivery, web performance, and cybersecurity software. With trailing twelve month revenue of $2.6 billion, and a market cap of roughly $13 billion, the company serves more than 60 percent of the Fortune 500, each of the top 15 US and Canadian retailers, all of the top 20 global ecommerce companies, the 50 largest global carriers, 47 of the top 50 American television networks, 21 of the top 25 global gaming companies, 17 of the top 20 global social media platforms, the largest 25 banks in the US, the 10 largest global auto manufacturers, and all branches of the US military. More than 500 customers spend more than $1 million annually with Akamai, and no customer accounts for more than four percent of sales. 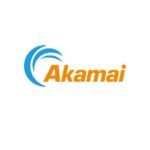 Akamai’s software and services are delivered over a proprietary global network that has grown to exceed 240,000 servers embedded in 1,700 networks in 3,900 locations in 133 countries. The distributed nature of this global network with servers located locally at the “edge” of the internet ensures that content is delivered quickly and efficiently. Versus four years ago, when cloud security comprised just $50 million in annual revenue, the Cambridge-based company has developed a growing cloud security business, which contributed $486 million in revenue last year, or 20 percent of total sales. At present growth rates, even in the absence of acquisitions, cyber security could become the company’s largest business within four years. Increasingly sophisticated cyber attacks funded by governments, organized crime, and political activists place banks, global media, and governments and their constituents at increased risk of fraud, identity theft, loss of reputation, and loss of revenue. In response, Akamai has developed a differentiated series of cloud software services designed to protect against such attacks. The basic premise behind its approach, and the key demand driver for its services is that it is much easier to attack a corporate network, than to protect it, as even a single hole can become the stalking horse for massive bot armies that can bring a network to its knees. Through its early work with Kona Site Defender, which protects websites and APIs against cyber attacks, Akamai developed a core competence in protecting against Distributed Denial of Service (DDoS) attacks against data center software assets. Such attacks involve the high-jacking of a large number of computer servers to overwhelm a target website or data center with malicious traffic. DDoS attacks, launched by political activists, cyber criminals, and hackers seeking notoriety have become the bane of large bank and ecommerce companies in particular. Akamai has since developed and acquired new capabilities to protect against DDoS attacks, and added products to protect against web application layer attacks, as well as solutions to block and mitigate malware, ransomware, and phishing attacks. Akamai has also had success with Bot Manager, a product launched in 2016, which provides insight into the amount of bot traffic accessing a website, as well as prevention of price and content scraping, which is particularly worrisome to ecommerce companies. Utilizing Bot Manager, the company reports that a single bank achieved a reduction in account takeovers from 8,000 per month to just one or two per month. Bot Manager has thus helped save the bank tens of millions of dollars in direct fraud each year. From its roots in content delivery and web performance, Akamai has been able to leverage its massive, distributed global network to delivery increasingly sophisticated lines of defense against cyber security attacks. No longer a noise level item in its income statement, cloud security now exceeds 20 percent of sales, and is growing rapidly. As IT security professionals increasingly embrace cloud solutions for perimeter defense, Akamai is well-positioned for growth. 114 Waltham Street, Suite 12, Lexington, MA 02421 • p: (781) 863-2300 • [email protected] • © 2019 Battle Road Research Ltd. All rights reserved.